Garden Island Mayor Bernard Carvalho makes one last attempt to sway the county council, but comes up short. LIHUE, KAUAI — Pesticide disclosure Bill 2491 is set to become law after the Kauai County Council voted Saturday to override Mayor Bernard Carvalho’s veto of the bill. After members voted 5 to 2 for the override, the audience in the small hearing room, packed primarily with bill supporters, waved their fingers in the air, hugged one another and cried. The override came despite protests from the mayor who showed up to plead his case one last time before the council. He told members that he agrees with the intent of the measure, but he urged the council to pursue a more collaborative approach that involves working with state officials and the biotech companies. “I do not believe Bill 2491 is the correct and legal path,” he said. But the council was not swayed. Mayor Carvalho pleads his case. When it goes into effect in August, Bill 2491 will require heavy users of restricted use pesticides, primarily the biotech companies, to disclose what pesticides they are spraying, where and in what quantities. The law also requires farmers to report to the county any genetically altered crops that they are growing, and it creates buffer zones between fields sprayed with pesticides and schools, parks, medical facilities and private residences. The county will also be required to study whether pesticides are harming the environment or the health of residents. Employees of biotech companies can be fined or jailed for violating pesticide disclosure requirements and buffer zones. The vote came after concerted maneuvering aimed at guaranteeing that the council would have the five votes necessary to override the veto. The deciding vote came from Mason Chock, who was elected to the council the day before by a 4-2 vote. Those who voted to place Chock in the tie-breaking council seat were the same council members who tried — and failed — to overcome the veto on Thursday, before putting off the formal vote until after they filled the vacant seat on the council on Friday. 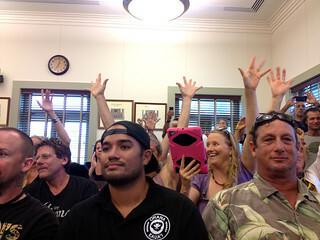 Chock, owner of Kauai Team Challenge, an outdoor education company specializing in team building and self development, was praised by all the council members as well as the mayor who described him as a respected leader in the Kauai community. But the mayor and Councilman Mel Rapozo criticized the council for allowing a new member to act as a swing vote on a measure that has been debated in front of the council for several months. Kauai the New ‘Ground Zero’ for Anti-GMO Activism? A silent cheer erupts as council members pass Bill 2491. Some of the bill’s opponents, who include biotech farm workers and their families, have taken to the county council lawn over the weeks with their own signs touting their support for ag and the mayor. While bill supporters celebrated their victory on the county lawn Saturday, singing and chanting, this is unlikely to be the last battle over Bill 2491. Biotech companies have previously vowed to sue the county if the bill passed. County council members say they are bracing for a lawsuit. The legality of the bill has been debated for weeks. Carvalho, supported by the opinion of the county’s attorney, has argued that the bill is legally flawed and that it will likely be defanged if a court concludes that it preempts federal and state laws, runs afoul of the state’s Right to Farm Act or violates provisions in the County Charter. But attorneys for environmental groups like Earthjustice, as well as well-known environmental attorneys at the University of Hawaii, lampoon that view and argue that it will withstand legal scrutiny. 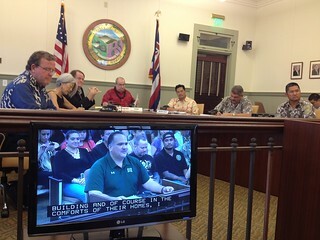 Councilman Gary Hooser, a co-sponsor of the bill, warns that if biotech giants sue the small county of Kauai, it could turn into a public relations fiasco for a multi-billion dollar industry that is already battling an array of national and international anti-GMO movements. Bill 2491 supporters celebrated outside the County Building. Regardless of whether that is true or not — and regardless of whether or not the bill’s supporters’ will succeed in their desire to make Kauai “ground zero” for the fight against genetically engineered foods and pesticides — they won this battle. 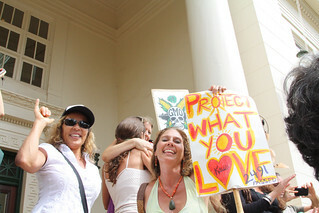 The commotion on Kauai has attracted the attention of national environmental and advocacy groups such as MoveOn.org, the Center for Food Safety and Pesticide Action Network, while national news outlets have picked up the story. The Center for Food Safety, a leader in the anti-GMO movement, has already promised to represent the county pro bono if it does end up in court over Bill 2491. 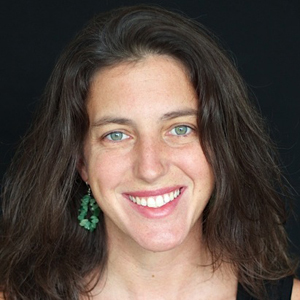 Sophie Cocke is a former reporter for Civil Beat.